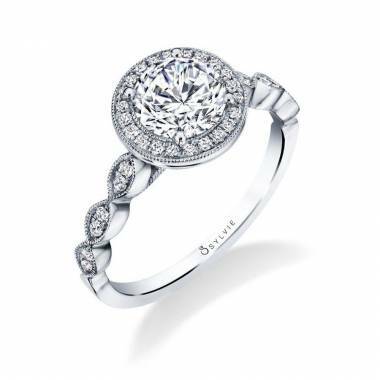 This spectacular oval engagement ring features a 1 carat oval cut diamond set atop an oval halo of shimmering diamonds and lined with milgrain accents. 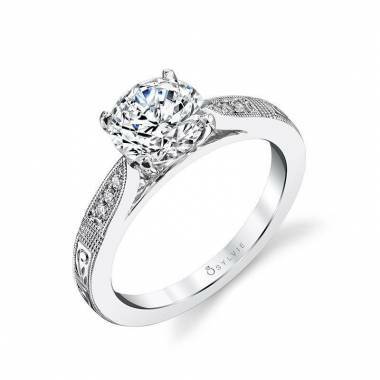 The shank features a unique twist design of diamonds with a pear-shaped diamond in the center on each side. 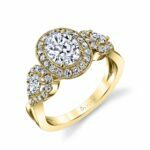 The total weight is 0.50 carats. 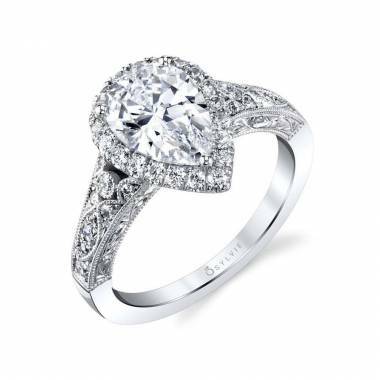 This spectacular oval shaped engagement ring features a 1 carat oval cut diamond set atop an oval halo of shimmering diamonds and lined with milgrain accents. 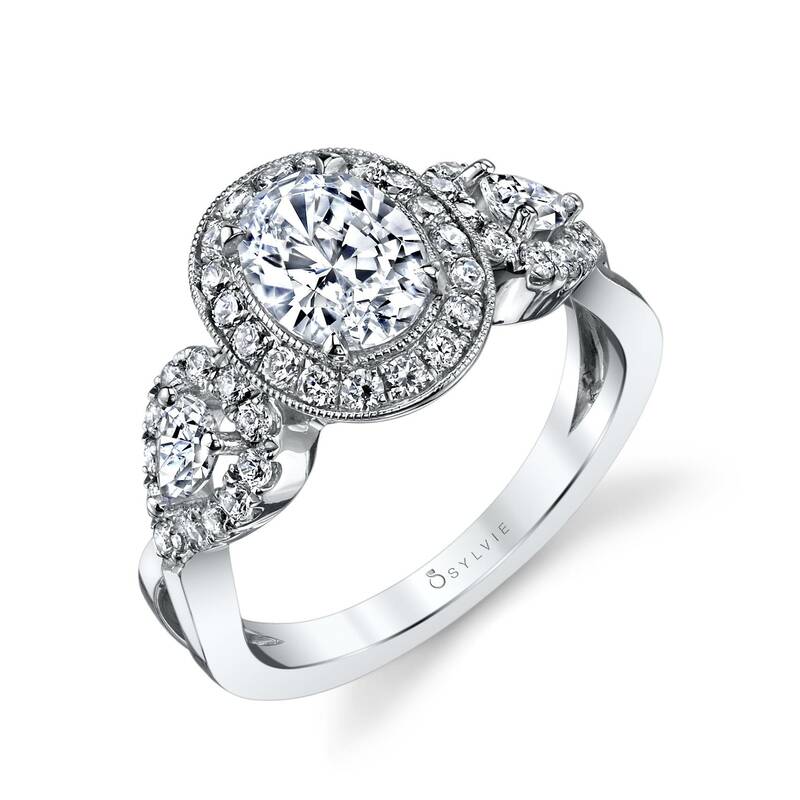 The shank features a unique twist design of diamonds with a pear-shaped diamond in the center on each side. The total weight is 0.50 carats.